Tree Trimming Insurance Kentucky. Dozens of arborists and tree trimmers die on the job each year, according to the Occupational Safety and Health Administration. This includes workers for landscaping businesses and tree trimming companies as well as private self-employed arborists. Statistics also show that there is a higher rate of fatalities experienced among experienced tree trimmers and arborists than those who are new to the profession. Tree trimming insurance Kentucky protects your business from lawsuits with rates as low as $57/mo. Get a fast quote and your certificate of insurance now. While there is no specific tree trimming insurance Kentucky or arborist insurance, there are several types of insurance that afford protection to people working in this profession. 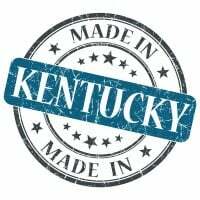 Addressing the potential liabilities your KY business faces by purchasing the right level and type of insurance is crucial to the staying power of your business. Loss resulting from omissions and errors made by your KY business, either in removing trees or in consulting with a business or property owner. As you assess your business risks and liabilities, be sure to consider the work you perform, the tools and substances you and your employees handle during the course of performing your job. Work with an insurance agent to determine the right tree trimming insurance Kentucky package for your tree trimming, landscaping, or arborist business. 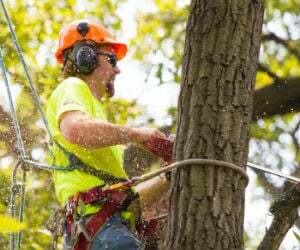 Whether you have a large business and hire multiple tree care workers or a small one-man operation, choosing the right tree trimming insurance Kentucky for your business is important. Selecting policy coverage amounts that allow you to stay within your budget is equally as crucial. Request a free Tree Trimming Insurance Kentucky quote in Alexandria, Ashland, Barbourville, Bardstown, Beaver Dam, Bellevue, Benton, Berea, Bowling Green, Brandenburg, Cadiz, Calvert, Campbellsville, Carrollton, Central, Cold Spring, Columbia, Corbin, Covington, Crescent Springs, Crestview Hills, Crestwood, Crittenden, Cynthiana, Danville, Dawson Springs, Dayton, Douglass Hills, Eddyville, Edgewood, Elizabethtown, Elsmere, Eminence, Erlanger, Flatwoods, Flemingsburg, Florence, Fort Mitchell, Fort Thomas, Fort Wright, Frankfort, Franklin, Georgetown, Glasgow, Graymoor-Devondale, Grayson, Greenville, Harrodsburg, Hartford, Hazard, Henderson, Highland Heights, Hillview, Hodgenville, Hopkinsville, Hurstbourne, Independence, Indian Hills, Irvine, Jeffersontown, La Grange, Lakeside Park, Lancaster, Lawrenceburg, Lebanon, Leitchfield, Lexington-Fayette, London, Louisville, Ludlow, Lyndon, Madisonville, Marion, Mayfield, Maysville, Middlesborough, Middletown, Monticello, Morehead, Morganfield, Mount Sterling, Mount Washington, Murray, Newport, Nicholasville, Oak Grove, Owensboro, Paducah, Paintsville, Paris, Park Hills, Pikeville, Prestonsburg, Princeton, Prospect, Providence, Radcliff, Richmond, Russell, Russellville, Scottsville, Shelbyville, Shepherdsville, Shively, Simpsonville, Somerset, Southgate, Springfield, St. Matthews, Stanford, Stanton, Taylor Mill, Union, Versailles, Villa Hills, Vine Grove, Walton, West Liberty, Wilder, Williamsburg, Williamstown, Wilmore, Winchester and all other cities in KY - The Bluegrass State.